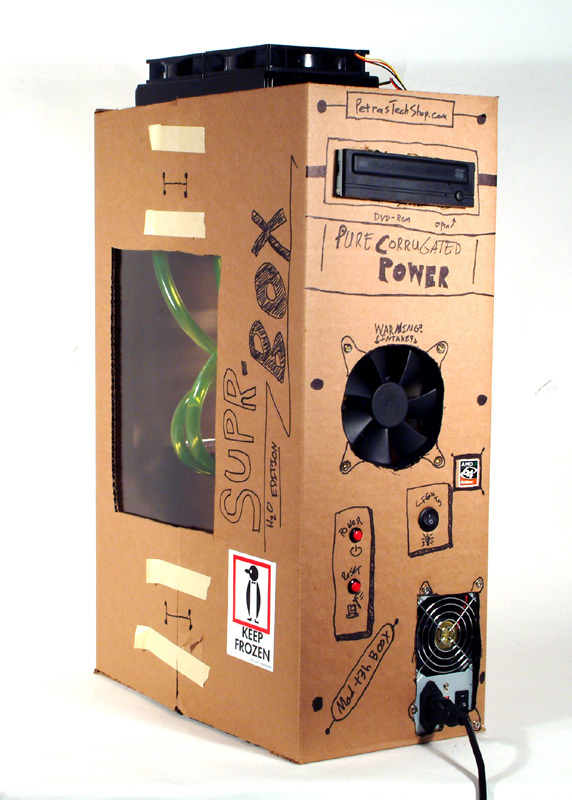 CCT Blog: Cars, Computers, & Things: [Forum Archive '05] T3h uber l337 Water Cooled Cardboard Box! 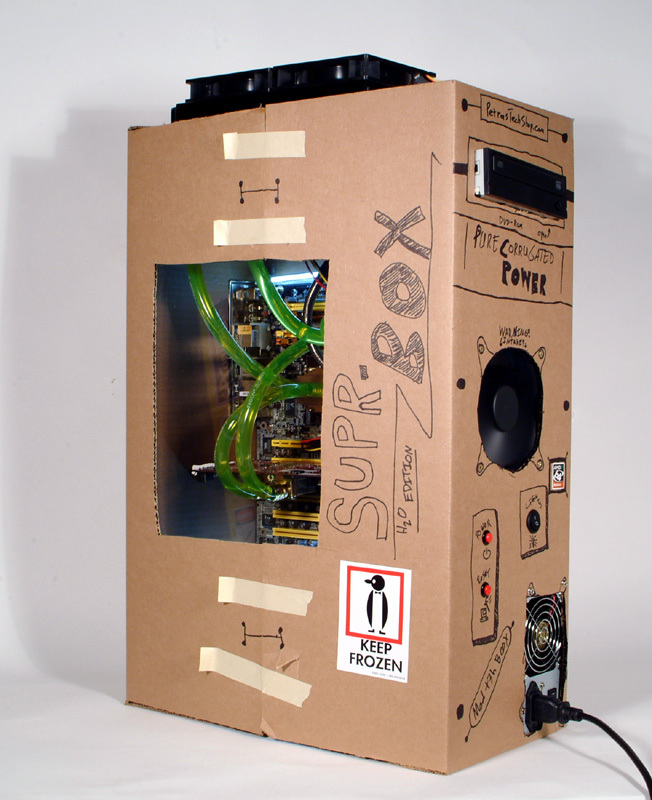 [Forum Archive '05] T3h uber l337 Water Cooled Cardboard Box! 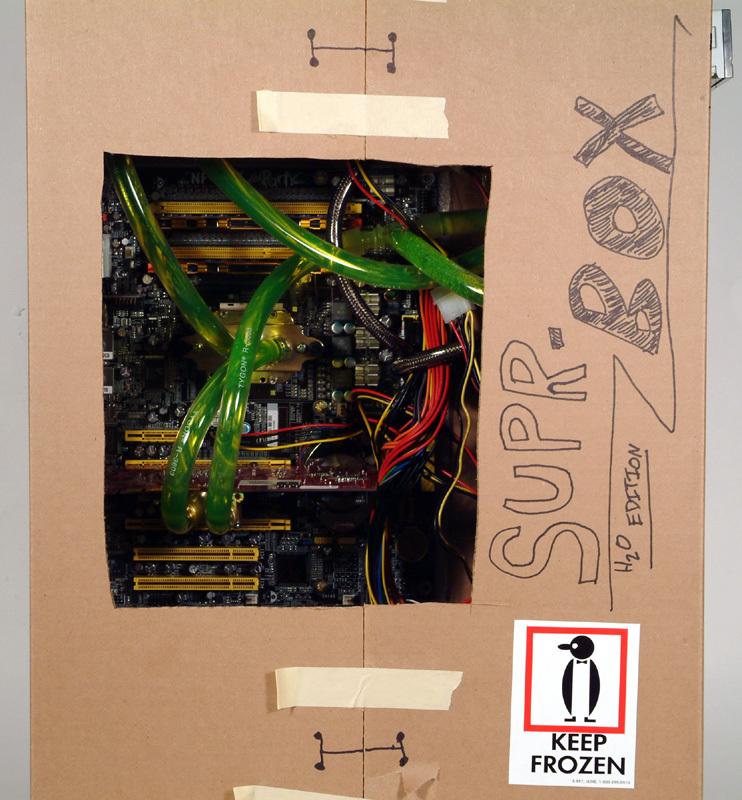 I bring you a little treat from 2005... T3h uber l337 Water Cooled Cardboard Box! 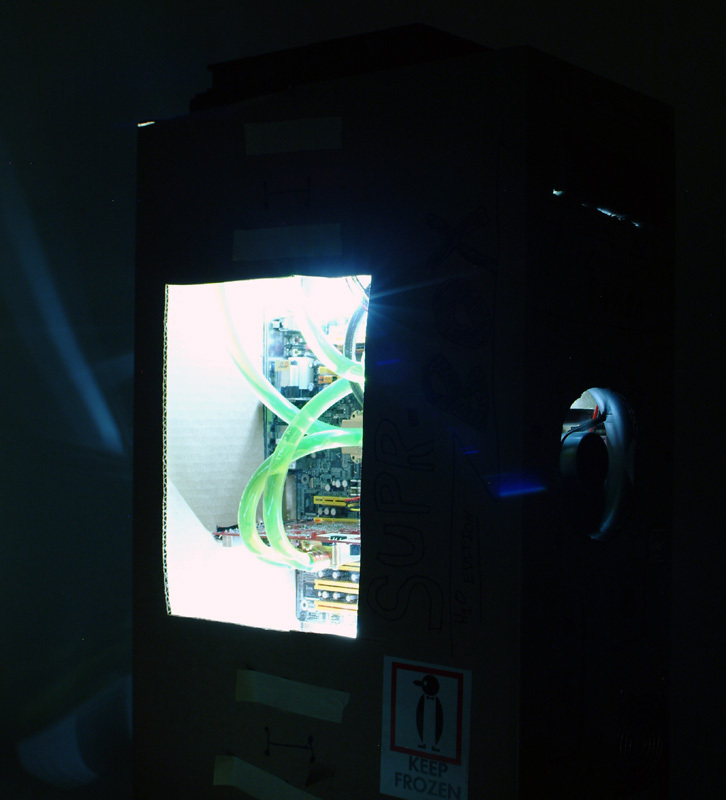 The build was used as a display system in the front office of Petra's Tech Shop and went through several rebuild phases as time passed (with this, of course, being its first form). Total forum thread views: 6,685 (as of 4/28/2010). As a side note, all images have been re-sized via HTML, rather than my usual two image (preview & full image via link) approach, to speed along the archiving process. You can still right-click on the images and view them at full-size in a new tab/window. Also note that all vBulletin emoticons and their associated code have been removed from the archive entry. I've been planning on doing a nice bit of modding to a Sonata2 to use as a display machine; however, due to the amount of modding and painting involved, it would likely take me about two weeks from start to finish for the paint alone. Unfortunately, I didn't have that kind of time available before a little 'opening party' that was thrown a couple weeks ago... so... 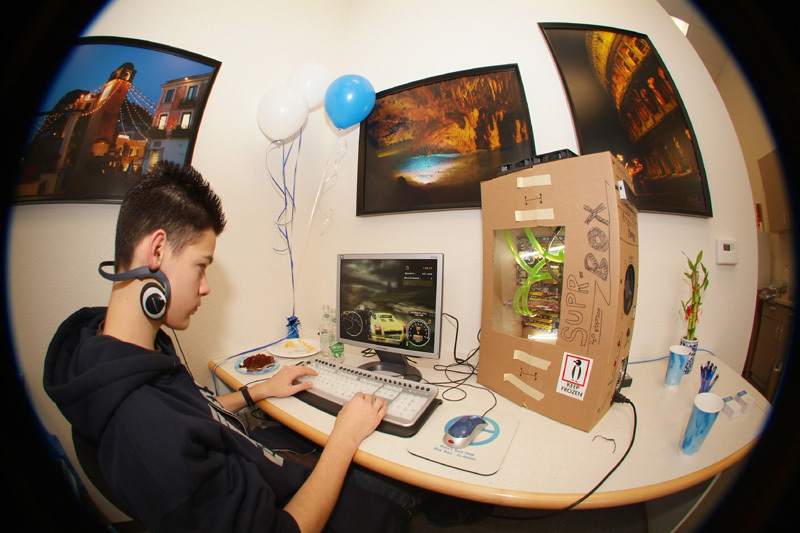 I decided to use a cardboard box instead. 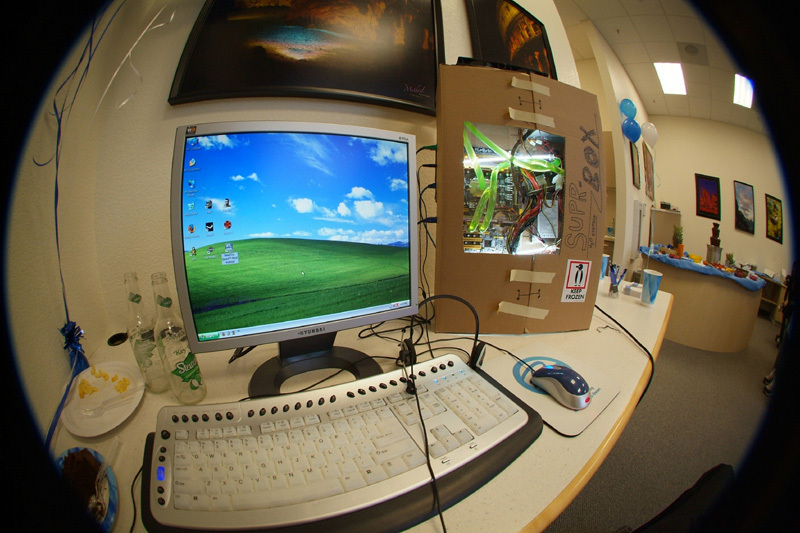 It was actually surprisingly difficult to get things mounted in there...then again, I don't normally build computers into cardboard boxes. Also, all of the tubing and stuff was cut for the Sonata, so it's kinda crazy in there (with a little extra wire mess thrown in for added ghettoness). 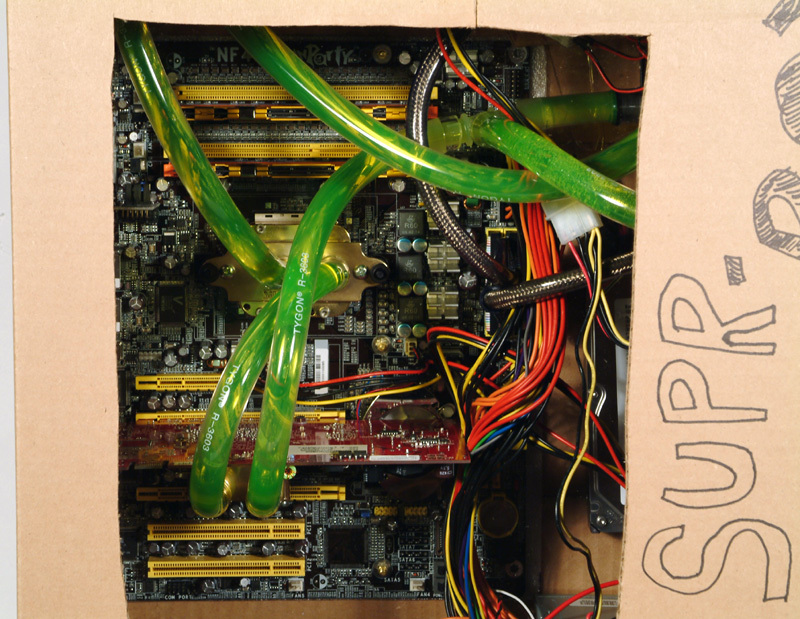 Water Cooling: Silverprop Cyclone EvolutionSE (CPU), Silverprop Cyclone FusionHL (GPU), BIP2, Swiftech MCP655, and 7/16" ID Tygon tubing. 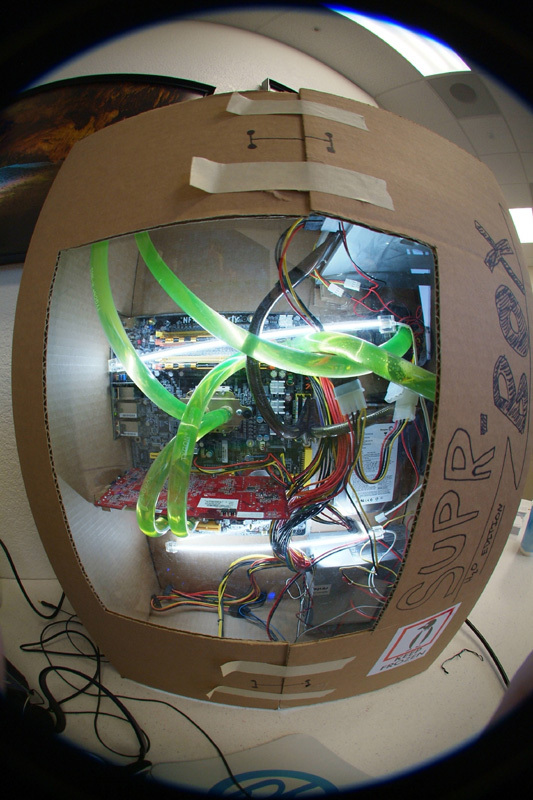 Anyway, I can't wait to find the time to overclock it (especially since my warehouse/office gets really cold). At stock speeds (which really isn't saying much) the CPU is idling at 22°C...which is a mere 4°C above the ambient room temp!